One of the challenges faced by new customer experience leaders is how to establish short-term credibility. You may have been placed in your new job because of your compelling mid-term vision, or the vision of your senior leadership. None of that will count for anything if you are not seen to me making progress during your first few months. One of the easier things to implement quickly, if you do not already have it, is a customer complaints process and potentially a customer complaints team. It is a good idea to have a single customer complaints team for your entire organization. The phone and email contact details for complaints should be visible at the top level of your company website. “Log a complaint” is a reasonably clear heading. If this sounds too scary, consider putting that link on various intranet pages so that your own people can log customer complaints that they are not able to deal with on their own. The person or people handling complaints should accept complaints from both internal and external sources. It is difficult for complaints team members to be effective if they are new to the company. The ideal profile is a relatively experienced company veteran who understands the organization and can get things done quickly. A single person could do this on a part-time basis in a small company. A team is needed for a large organization. When I managed this for HP, covering consumer and enterprise business, there were over 100 people in the complaints team in Europe alone. We had 350,000 employees in the whole company at the time. The range of work was quite extreme, even including representing the company in small claims courts when people went there to get satisfaction on a printer or PC problem. 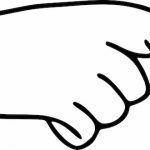 The complaints team, and perhaps your full organization, should have the authority to spend a certain amount of money to resolve complaints immediately, without further approval. That amount should be something between $1,000 and $10,000. In HP, the Swiss complaints team could leave the office, go to a local electronics store, buy a product and drive it to the customer’s home near Zurich, if that was appropriate. Flowers and other small gifts are a good way of apologizing when you make mistakes or a product is defective. Think about this when you are trying to turn around detractors. Note in passing that most countries have rules prohibiting gifts to government employees, so your processes need to take this into account. Complaints. A great way of engaging the whole organization. And a great way to get and publicize compelling customer stories that will motivate the entire company. I would love to hear about your own experience in this area. I sent the blog post to subscribers to this newsletter last week as I thought it might gain some attention. It certainly did. I posted it on our own site, on LinkedIn, on Medium and in the private forum of the Customer Experience Professionals Association. It is the second-most-read article I have ever posted on LinkedIn. I received a lot of private and public messages of support for what I wrote. The nature of these messages made me do multiple edits and additions to the article on all four sites. Newsletter subscribers will not have seen the updates unless you have visited one of the four sites. I also received a small number of quite emotional messages suggesting that I have been brainwashed by Bain and others into accepting a totally useless concept unsupported by science. I did my best to respond politely to all such messages. The surprise to me was that most of the points made in these messages were the same as the ones I addressed in the article. I found that somewhat hard to deal with without getting angry. Yes, I realize that ‘communication is something that happens at the receiving end’ and the repetition of the same points may just mean that I did not express myself clearly enough the first time. ‘My favorite compound metric predicts revenue or market share better than NPS.’ Once again, nobody denies that many compound metrics are better predictors than NPS. They are all simply harder than NPS to communicate and implement. 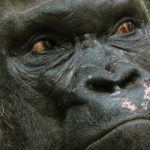 ‘NPS has not been backed up by any academic research published in peer-reviewed journals.’ As that is not true, I added a paragraph and link to such research in the article and reinforced my messaging that contrarian positions published in peer-reviewed journals did not have science behind them and should not have been published. To say the least, I got additional emotional reactions to those statements. Once again, I want to state that no metric tells you what you need to do. You have to ask customers why they gave you the score and what you should improve. The answers to these questions will often tell you things you cannot see in your operational metrics. This in turn gives you a basis for your improvement projects. Thank you for your feedback on this so far. Older posts are still available on the blog page. As regular readers know, I was on stage in Amsterdam a few weeks ago and was voted top presenter overall at the event. The organizers filmed all presentations and a link to mine is below. I hope you find it entertaining. And of course, if you want me to do something like this for your team or event, please reach out. Watch the 11-minute video here. I will cover the second anniversary of the publication of our books next time. Here are links to all of our books on Amazon.com. Kindle versions are available in all stores. Print versions are available from the major stores only. And as of two weeks ago, you can find the books, or at least order them in many bookstores. If you have already read any of our books, please write reviews on Amazon. While working at HP my experience was that NPS Promoters write the longest answers to open questions. My operating assumption is that such customers like you and want you to continue to improve, so they do their best to help. Rob Markey confirms that this is what they see with Bain clients too. However, all of this is for business-to-business customers. Since retiring from HP, I have been exposed to the situation at a number of B2C companies. I have seen data that shows the opposite pattern. Detractors write the most. In one large data set, Promoters used about 8 words to answer the ‘Why?’ question after the NPS rating, while Detractors used twice that, with Passives half way between. It may interest you to know that it made less than half a word difference for Promoters when people answered on their phones. Single-word responses from Promoters were quite common in all cases. “Great!”, for example. It would have been nice to know what exactly was great. Since the data sets I have looked at are for companies without annual contracts I suspect this may just be true for companies that have a purely transactional relationship with their customers. Unfortunately, none of these data sets came from research that included the standard ‘What could we do better?’ question, so I don’t know whether the same would be true there. 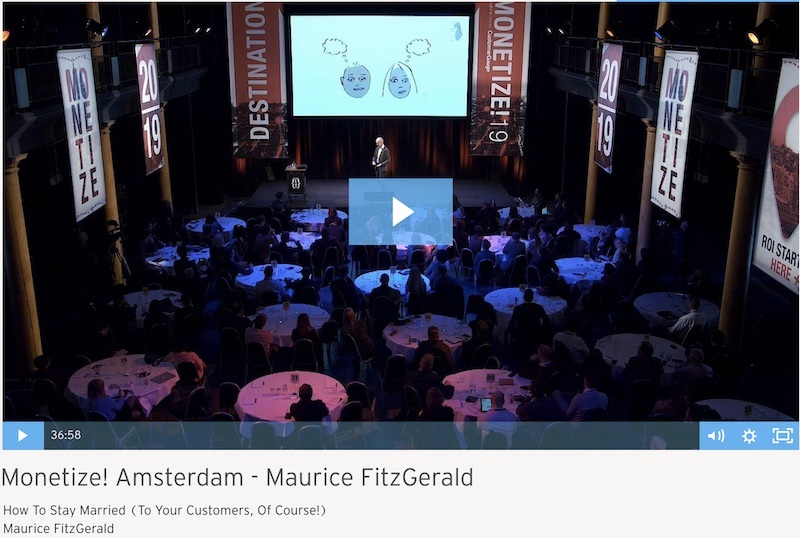 I spoke at the CustomerGauge Monetize! event in Amsterdam two weeks ago. What a great experience! The event was held in a theatre that has been created inside an old church. The lighting was great, and the general atmosphere was wonderful. Customer Experience work has advanced quite a lot in the last few years. It was great to see leaders from DHL, Electrolux, Salesforce and other companies present their achievements and concerns. As is often the case, half of what I learned came from discussions during breaks and during the evening between the two days. Fascinating stuff. One of the blog posts in the list below covers my answers to the two most common questions I was asked during these informal interactions. Congratulations to Camilla Scholten, Adam Dorrell, Sarah Frazier, Katerina Sinitskaia, Cvetilena Gocheva and the rest of the CustomerGauge team on a great event. 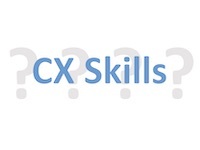 While this memorable article just came up in my LinkedIn feed yesterday Annette actually wrote it on her ‘CX Journey’ site back in 2002. It includes a mention of my ‘favorite hate’ in customer experience work. As she puts it, “I think hearing requires a subsequent action or reaction. 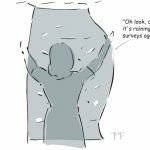 And in the customer conversation, that part is often missing.” Annette goes on to suggest that only 5% of companies tell customers what they have learned from their research and what they are going to improve. Read this classic blog post here. I was able to meet Rosaria for the second time on the afternoon before the CustomerGauge event in Amsterdam. I first met her a few years ago when I spoke at a Satmetrix event in London. It was great to catch up, especially to discuss Yellow Goldfish, the recently-published book she has written together with Stan Phelps. Rosaria founded Wow Now back in 2013. Her focus is not customer satisfaction or customer experience. I think it would be safe to describe it as happiness, meaning happiness of everyone involved in customer interactions, especially the customers, of course. Her framework builds a new layer on top of the well-known Maslow motivation pyramid: Happiness. She describes her focus as ‘happiness driven growth’ and has invented the Happiness Contribution™ Factor. Read more about Rosaria’s book, training courses and Wow Now here. And you should be able to find the link to download her Happiness-Driven Growth booklet quite easily. April will bring the second birthday of our first three books. My co-author/brother’s son is preparing a special birthday animation that you will see a few weeks from now. Thank you for your support during these two years. We are happy with the way the book has been selling, and especially the way they continue to sell well, even two years later. The CX strategy and NPS books occasionally make it up into the top 2% of all Amazon book sales. The cost-reduction book does not do quite as well. I suspect we need another economic downturn to make it more relevant. Here are links to all of our books on Amazon.com. Kindle versions are available in all stores. Print versions are available from the major stores only. If you have already read any of our books, please write reviews on Amazon. The American Customer Satisfaction Index people released the final part of their 2018 customer satisfaction data earlier this week. I have been able to match the scores against Glassdoor employee satisfaction data for 398 large businesses that sell to US consumers. This is up from 345 last year and hopefully makes the data more reliable. There are a few surprises, though the overall message has not changed: there is not much of a relationship between employee and customer satisfaction. Variations in employee satisfaction across the 398 businesses explain just 6.2% of the variations in customer satisfaction. This is up from last year’s number of 4.4%. There are industries and indeed a whole sector where there seems to be no relationship at all between the two. The big surprise is that the relationship for the retail trade has dropped significantly. This turns out to be an artefact of the ACSI including eCommerce sites in retail this year while they were separate last year. Overall results, including an analysis of ‘high-touch’ and ‘low-touch’ businesses. Lists of companies that employees hate but customers love, and vice-versa. Lists of companies that both the employees and customers love, and of course the opposite view. Based on the feedback I receive each year I suspect most of you believe my study is wrong. Indeed, I submitted it to one academic publication and one business publication the first year and it was rejected by both as not being credible. Nobody, and I mean absolutely nobody, has been able to present a scientific analysis that proves anything different. I look forward to the feedback this year. If you have no people or budget to work on improvements that customers may suggest… well… you are better off not asking them for feedback at all. So, if you have no resources, the right time is never. You want to be able to work on improvements and tell the customers about them before their subscription deadline comes up. If all customers do not have the same renewal date, this really means working on a single improvement every quarter, then telling the customers when you have completed it. Once again, if you don’t have the resources needed, then please don’t ask for feedback. Nothing new this week as I have had my head down working on the employee-customer satisfaction research. Older posts are still available on the blog page. 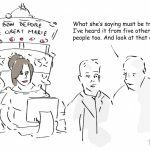 Valentine’s Day classic blog – How to stay married – to your customers of course! Willie’s first strategy book is the only book I have ever read a second time immediately after finishing my first read. I did the same with this blog post. Read it here. A fascinating and insightful interview with Eric Smuda. My time in CX at HP started after Eric left and I never heard of him at Compaq. I wish I had. He is clear and insightful about what it takes to develop and implement a customer experience strategy. I learned a lot about the car rental business and found some of the stories fascinating. Like the one about the need to reposition cars around New York. Hertz uses a single car fleet. The weekday demand is at the airports. The largest single weekend demand is from people who live in Manhattan and want to get away for the weekend, starting on Friday evening. So Hertz drives huge numbers of cars from the airports into town. It is a constant stream as there is not much space for them in Manhattan. That’s just one story and there are many others. Listen to them here. I will be speaking at the CustomerGauge Monetize! event in Amsterdam on March 13th and will stay over to enjoy the other speakers on the 14th. I look forward to meeting any readers who will be there. And of course I want to complete my blog posts on the relationship between customer and employee experience. I am sure you will find them interesting. It was Valentine’s Day a few years ago, and I was puzzled by the results of some HP customer experience research. The data source and volume were impeccable. However, the results seemed to prove something that differed from everything that I had learned about customer improvement work. Putting the data and the date together caused a flash of inspiration. I discovered something unexpected about how to keep your customers. I used to think it applied only to B2B situations, and now understand that it applies to any business that depends on contracts that need to be renewed annually. We were about a year into the implementation of the Net Promoter System under Meg Whitman’s leadership as CEO of HP. The time had come to work out the relationship between our Net Promoter Scores® relative to our competitors, and our revenue growth or decline. We had eight years of double-blind benchmark NPS® data for HP and about a hundred competitors, and were able to match it against corresponding revenue data for most businesses. We found that NPS was a great leading indicator of revenue. One HP business decided to investigate it in more detail. That business mainly had multi-year service contracts with its customers. 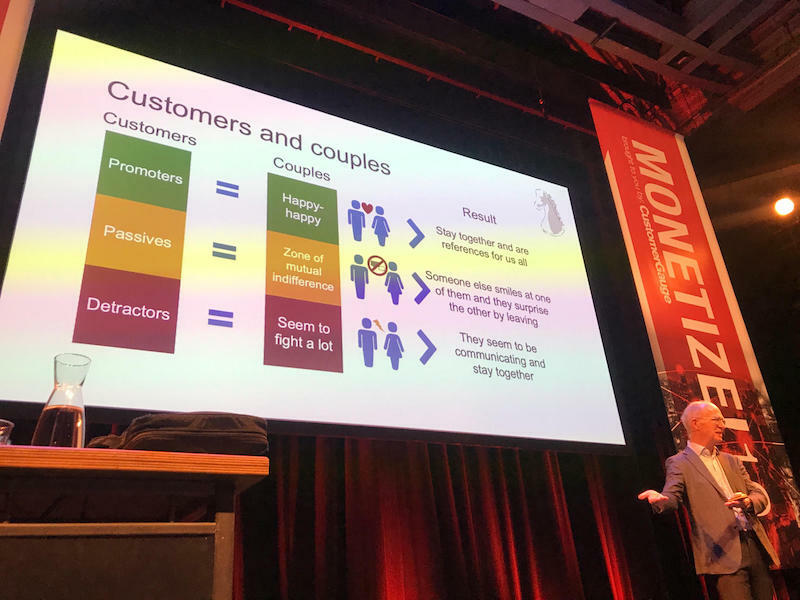 The question they wanted to answer was “Which customers actually leave us?” They used their own relationship survey to understand the different behaviors of the NPS Promoters, Passives, and Detractors. What they found surprised us. I believe the findings apply to all businesses that have ongoing contractual relationships with customers. We all know couples who seem to be made for each other. I call them the happy-happy ones. They agree on everything. They have been together for years. We admire and envy them. In Net Promoter System terms, they are the Promoters. They are like the customers for whom everything is going well. All major project milestones are being achieved early. The customers are getting more than the financial benefits they expected. They have been working with the same account team for years. Life is wonderful. The customers talk positively about us to people they know, and bring us new business. When there are ongoing service relationships or investments in technology, the cost of change can be high. Imagine you have built all of your business processes around the way that SAP software works, but you now have a dispute with SAP. You will probably try to work it out. One of Meg Whitman’s catchphrases as CEO of HP has been “Run to the fire. Fix it in 24 hours or escalate it in 48.” I suppose it is also a guy thing that comes to the forefront in male-dominated industries. Men want to solve problems, and are willing to devote all their time to fixing a customer escalation, no matter what else is happening in the relationship. Have you ever been in one of these relationships? I have, in the distant past. You get home. You think to yourself, “She is not saying anything… everything must be fine.” If you had that sort of relationship, how did it work out for you? Communication is the lifeblood of couples and of businesses with contractual relationships. Think of it this way at the very least; if you are not communicating, your competition may well be doing so. In the absence of communication, someone else smiles at your partner or customer and offers them flowers. They leave you, and you are surprised. Why didn’t they complain about something? What happened? In NPS terms, these are the Passives. Across most industries, they are 35 to 40 percent of all your customers. What did the HP data show? This particular multi-billion-dollar HP division had about a 15-point NPS decline over three years. Their revenue declined with the expected time lag. However the surprise was where it declined. Revenue with Promoters rose slightly. Revenue with Detractors stayed flat. Revenue with Passives declined close to 20%. Someone else was smiling at our Passives and sending them flowers. For the sake of completeness, I have to add that the particular business has since more than recovered the decline. I believe this data, these conclusions, and this couples metaphor are representative of all businesses that depend on renewable single-year or multi-year contracts. They are not helpful for pure product businesses. It is simple. Communication matters. Customers want to be remembered. If the only times your customers have contact with you are when you want to sell them something or when something is wrong, they will leave you. This insight could help your personal life too. Piotr Sadowski has posted a Polish version of this article on LinkedIn here. And you can still find a slightly different version of the article in French that I posted a couple of years ago, also on LinkedIn here. This is an edited version of a chapter in our book Customer Experience Strategy – Design and Implementation, available in paperback and Kindle formats from Amazon stores worldwide. In the meantime, please feel free to comment below and sign up for our newsletter here to stay up to date. The artwork is by Peter FitzGerald, and you can reach me at mfg@customerstrategy.net. How about implementing Customer-Employee NPS? As you may have seen in my blog post about customer-centric business strategy (see below), I have become intensely irritated by my observation that most companies seem far more interested in measuring satisfaction than improving it. The core work of customer experience people should be the implementation of improvements. Measurements should support this work, but they are not what customer experience leadership is about. Today, most of the work done by customer experience professionals is about measurement and reporting. While individual business and functional teams may get relevant information and work on their own improvements, this leaves a huge gap: Cross-business, cross-functional improvement work simply does not happen at all. I believe there is a better way. Let me go further: I believe there is a better way to approach customer experience improvement work than any current methodology used by any company on the planet. My thinking on this is driven by a sales course I took in 1996. It was given by the husband-and-wife team of Mary and Michael Molloy and the book that accompanied it is called The Buck Stops Here. The principle was that you set up the sales process from the end, then worked backwards to put everything in place that you need to win. And only what you need. Start by getting the sponsorship, funding, and people you need to implement one to three effective improvement projects. Perhaps you would agree with your CEO and HR that the company’s development program for its best people would include such projects and that they would each last six months, with people committed half-time. If you can’t get the sponsorship and resources, well, at least you will have learned something and you can avoid bothering customers with research that won’t be used for anything. And if you are the CX leader, you will understand that you don’t have sponsorship for your work and you can look for a new job. Get agreement on how the one to three projects will be selected. Perhaps you will need to form a Customer Experience Council to make the decision and to monitor progress. Use the council to gain agreement on what data and information is needed to submit a project for approval. The council can also decide on a focus area. If you are a B2C eCommerce business, an example of a focus area might be understanding your repeat customers’ views about your company in more detail, and implementing improvements they suggest. Or perhaps you would like to get employee views about what cross-company improvements should be made for customers. Let’s suppose you have decided that the next six-month effort will be dedicated to implementing employees’ CX improvement ideas. Set up and carry out all of the necessary research. Kill off all other research you may be doing with customers and which will lead to nothing for the next six months, since you just decided you do not need it. Tell your people and your customers what you are doing. The message to your teams would be simple: our customer-centric improvement work will be driven by specific research that will always result in improvement projects. There will be no customer research done simply to measure people. You have operational metrics for that, and don’t need to bother customers with it. Continuing one of the points made above, while customers are the best source of improvement suggestions, there is no reason they should be the only source. Why not ask your employees? On top of costing far less than customer research, you will get them engaged in improvement work and are likely to get enthusiastic volunteers. Employees may have insights in areas that would not naturally occur to customers. One example that springs to mind happened shortly after HP set up a centralized pre-sales group in Bucharest, Romania. When the new operation started up, it would be fair to say that the people were quite passive, just doing what was asked. Sales people and resellers asked them to provide price quotations to customers, and they did that work well. Then the team supporting the Benelux noticed something. As negotiation cycles continued, sales people removed things from orders to meet a customer price point. Notably, offers for servers and storage that started with round-the-clock support services were often reduced to a cheaper business-hours-only proposal. The Benelux team in Bucharest decided to systematically give the customers two proposals: one exactly as requested, and one with the service levels they believed the customers really needed, at a higher price. The initiative was a great success, with about half the customers taking the more appropriate service proposal at the higher price. For customers who accepted, it completely eliminated the situations where they would call during a weekend to be told that their contract did not cover the repair. A customer would never have thought of this double-proposal idea. How likely are our customers to recommend our company? What should we improve for customers and how? Please let me know what you think. If I could have come up with a word that started with ‘A’ for the name, I would have called it ‘aceNPS‘, which would have been nice. Some time ago I wrote a short article suggesting that the plural of the word ‘anecdote’ is not ‘science’. My point was that just because a lot of people have said something does not make it true. Let’s take this further and talk about anecdotes and emotions. 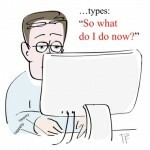 Shep always has some nice cartoons in his blog posts. His main content is about healthcare this time, though the message has far wider implications. Shep uses Dr. Neil Baum’s ten personal promises to his patients as an example for us all. I have to say that caring for elderly relatives means that I come into increasing contact with different parts of the (excellent) Swiss healthcare system. I think most doctors and clinics could benefit from a set of promises like these. It’s about a four-minute read here. I am a member of the Customer Experience Professionals Association (CXPA). The association offers one of the few recognized customer experience exams, which results in Certified Customer Experience Professional accreditation. There are six areas involved. Daniel Ord has posted sample questions in two of the areas. The set I suggest looking at first is about customer experience strategy. Test your knowledge here. Two big things will be happening over the next seven weeks. As soon as the American Customer Satisfaction Index people publish their report for retail, I will be able to complete the data analysis work for my annual study of the relationship between employee and customer satisfaction. And I am also pleased to say that I will be speaking at the CustomerGauge Monetize! event in Amsterdam. I will probably be on stage on March 13th, and expect to stay over to the 14th. I hope to meet some readers there. The event website is here. January book sales are going well. Thank you. Here are links to all of our books on Amazon.com. Kindle versions are available in all stores. Print versions are available from the major stores only. If you have already read any of our books, please write reviews on Amazon. I am a big fan of training, and an even bigger fan of what is often called ‘all-hands’ training that targets an entire company. When we implemented NPS across HP we designed our own training course. We did not make it mandatory, but it was by far the most-taken voluntary course. On top of the knowledge I believe the establishment of a common vocabulary is important. When people use a particular word, they should have a common idea of what it means. Company-wide training courses provide this. Owen CX’s NPS Training for all employees was designed from the ground up to engage, educate and align every member of the organization, no matter what their functional role is. Based on the same foundations as the certification program, it takes the core concepts and explains them in a fast paced and clear fashion, without talking down to the participant or baffling them with jargon. For larger companies, the training can also be customized with video messages from their leadership and localized with multiple language subtitles. The outcome you can expect from All Employee Training is every member of the organization with a common understanding of the program and how they can positively affect it. It’s all online, and I liked it. Why not give it a try? Note that I have no commercial arrangement of any kind with Richard Owen or OwenCX. Many customer experience leaders have entertaining stories about how they wound up in their jobs. I had the job in two different companies and got it by chance both times. At Blue Bell Apparel, the parent company of Wrangler Jeans, I was the ‘Quality and Engineering’ manager for France, the Benelux and Italy from 1981 to 1983. As we were innovating by bringing stonewashing to the market, I decided to do something nobody had done before. I went to the most important customers in Paris and asked them what they thought and what they would like us to improve. The results were totally different to what my boss and I expected, and surprised relevant people across the company. That is how I learned that the only way you can know what customers want is by asking them. The second time was of course at HP. It was in about 2007, I think. My job title was Director of Strategic Initiatives and I was the Chief of Staff for the Enterprise Business in EMEA, and for the overall HP EMEA leadership team. A leadership team member to who was in charge of the customer experience team reported left the company. I approached the head of the company in EMEA and said, “Here is how quality and customer experience work is managed today. Here is how I think it should be managed. These are just suggestions for when you appoint the new leader.” His reply: “OK, you are in charge.” Oops. That was in addition to the work I already had at the time. What an experience! I never looked back. The final article in the series covers what is often the most difficult area: Can you actually get the sponsorship and resources for your new strategy? The questions I propose should at least help you find out. 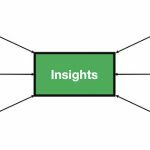 And once you have analyzed the six situation analysis areas, you need to assemble your top insights about how to achieve a breakthrough strategy, whether for customer experience or anything else. Nice article by Annette Franz on CABs. I am a fan of customer advisory boards and interviewed members of one of HP’s boards to find out what they wanted us to improve. The top suggestion was that they wanted to be able to spend more time with each other. Several said that the main benefit they got was the opportunity to learn from their peers in other companies. The second point they made was that our balance for the speaking and listening was wrong and that we should let them do more of the speaking. As Annette puts it “Keep in mind that a customer advisory board is all about customer listening.” Read her article here. I find the concept of customer ‘episodes’ to be a good one. If you think of them in terms of episodes in a TV series, you will be on the right track. Each episode contains a lot of scenes. The sum of our experiences with all of the episodes creates our brand image for the series as a whole. (My all-time favorites are Game of Thrones and Sherlock. My favorite for 2018 was La Casa de Papel. I suppose that is not really relevant.) If we take the example of a home insurance company, an episode might be an insurance claim after something bad has happened. The episode starts when the customer starts to work out how to contact the insurance company and ends when the claim is paid. There are lots of short transactions that happen in between, like phone calls or emails. In principle an episode is the shortest thing for which the Net Promoter System should be used. This Bain article shows how companies structure their improvement work by episode and use that to form what the Bain people call Improvement Factories. Read all about it here. While not directly about customer experience, I would like to thank the four readers who sent me suggestions about how to engage with the Swiss TV people about a misleading program they finally put out this week on GMO cotton in India. The various points and tone you suggested have produced a useful engagement so far. The extent of the usefulness remains to be seen as they really need to retract a substantial part of what they said on Tuesday. The rest of the program was good, and I learned new things that add to the knowledge I gained about cotton during my seven years in the clothing industry. December book sales were substantially better than the already-good sales in December 2017, so thank you for that holiday gift. Here are links to all of our books on Amazon.com. Kindle versions are available in all stores. Print versions are available from the major stores only. If you have already read any of our books, please write reviews on Amazon. People, including people in our own teams, often act in ways that we can’t understand. Put aside insanity as an explanation for a moment. (Though if you enjoyed The Psychopath Test as part of your holiday reading, you will understand that mental problems can sometimes be the explanation.) Let’s assume that a predictable mechanism exists and is being followed by those you can’t understand. What could that mechanism be? Regular readers won’t be surprised by my suggestion that the explanation lies in what Nobel-winner Daniel Kahneman calls System 1 and System 2, meaning the two different ways our minds function. You may remember that System 1 is emotional, intuitive, and quick to react. System 2 is slower and more rational. Most importantly, if System 1 has reached a conclusion, System 2 may not engage at all. Here is the thought I would like to offer you for 2019: To persuade people to do things, rely on System 1 and try to forget about System 2. The best way of engaging people’s emotions is through stories. In the case of customer experience, these stories should ideally be told by customers. Naturally, if you are a customer experience leader, you will want to select and manipulate the stories that are told so they match your strategy, your funded initiatives; the things you need to achieve. These should of course be based on a System 2 methodology that is scientific in its nature. My thoughts are evolving about the subject and I can use your help. You will probably recognize all of this as an evolution of the blog I sent you recently. I am trying to come up with a single image that communicates what I am getting at here. What follows is a first attempt. The upper row represents System 1 thinking and the lower row System 2. I have deliberately made the font size smaller in the second row to indicate that it is less important as a motivator. If you have other ideas on how to communicate this, please let me know. 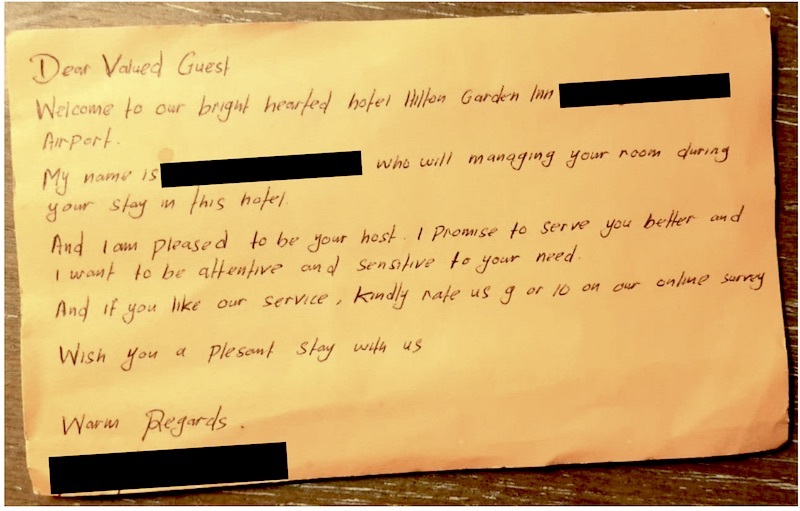 In the last newsletter I covered a Hilton hotel employee’s attempt to manipulate NPS results by writing a note soliciting a 9 or 10 and leaving it in a guest’s room. It is just human nature to try to influence any score you are measured on. While your managers may hope that you will do this purely by improving your performance, other methods are possible too. Doing this sort of thing biases your results, and I believe you would fail an NPS audit (should such a thing ever exist). Note in passing that you should never compare customer satisfaction results between countries. Your competition is local, and you should only do single-country competitive comparisons. And yes, this is yet another instance of Goodhart’s law, as covered a couple of weeks back here. Here is what the relevant part of the latest BA email feedback request looks like. Thanks to reader Loch Miwa for sending. Only one new entry in the last couple of weeks. Older posts are still available on the blog page. This time the situation analysis process moves on to relevant trends in your industry and in the external environment. Accurate observations about these areas can give you a competitive advantage. As always, you need to ask new questions to get new answers. Katerina Sinitskaia wrote this great set of tips on the CustomerGauge site. I would have liked her to indicate her personal top three. Seems like a good checklist for everyone in any case. You can find them here. With my B2B focus I was not sure I could learn anything when I started to listen to this Net Promoter System podcast. Rob Markey interviewed Brian Scudamore, who seems to be somewhat of a serial entrepreneur. His focus area is helping people with relatively ordinary tasks like moving house, painting a house, and some other household-related tasks. He seems to use students for at least some of the work. I found it all fascinating and relevant to all types of business from about the 20th minute onwards. I believe we can all learn something from Brian’s approach. Listen to it here. It’s January and your teams, colleagues and friends need our books to get 2019 off to a great start! Over the last week I have learned quite a lot more about what people (including you) apparently like to read. On Friday I wrote an article about the badly-written PwC customer experience research report that I mentioned here last week. It has already become by far my most popular article on LinkedIn this year, doubling the prior number one’s reads. The new article is here. Note that I wrote to the lead author of the report last week Wednesday suggesting he retract it until it can be improved. He did not reply, so I put my full critique on LinkedIn on Friday. It is more extensive than what I wrote here last week. And an article I wrote two weeks ago that is not about customer experience just became my second-most-read post on LinkedIn. I criticized a different piece of research, this time on the ‘morning routines’ of ‘300 high achievers’. Their suggestion was of course that if we all copy such routines that we will be high achievers too. The defect in the research is that there was no control group. Perhaps the medium and low achievers among us have the same routines, or maybe something even more intense that we should therefore avoid. Who knows? My article is here. 300,000 is not a typo. Let me know what you think. This reinforces my general view that (sadly) people prefer negative messages over positive ones. This is a typical example of what happens when you measure individuals on NPS. Compared to your reference period before you started the individual measurements, your NPS will improve, whether or not the service has actually improved. I am not picking on Hilton here as they are not worse than many others. Indeed, I have received a note from a car sales person asking me to phone first if I could not give him a 9 or a 10. His year-end bonus depended on the number of Promoter scores he received. If you find yourself stuck with a system like this because (for example) your CEO thinks it is a great idea, do what the General Motors CX leader does and ignore the scores. Just read the answers to the ‘Why?’ and ‘What could we do better?’ questions. The articles listed here are part of a new series on a specific aspect of strategy creation: the process of asking new questions so you can get new answers. Older posts are still available on the blog page. There are two main categories of competitors: traditional and emerging. The emerging category includes companies you do not know about yet, but who may be about to take over your business. Here are some questions that will help you understand how you are doing compared to your competitors. I love these and could not stop laughing. Enjoy them here. The actual title of this podcast is ‘How we transferred our biases into our machines and what we can do about it’. It is the best explanation of the topic that I have heard, and I consider it to be essential listening. The ‘You are not so smart’ podcasts can occasionally be tedious, but this one is definitely not. Learn more here. It’s December and your teams, colleagues and friends need our books! Great end-of-year gifts, in my unbiased opinion. I have been reflecting on the types of things I should write about. As you might expect, I would prefer to write things that you want to read. I think the best information I have about what you like to read (other than this newsletter with its ever-expanding distribution list) is the list of most-read pages on our website and the most-read articles I have posted on the main LinkedIn feed. Interestingly, to me at least, the lists are not the same. The role and work of the Chief Customer Officer or customer experience leader. New data: Does employee satisfaction drive customer satisfaction? Not really! If you have not read some of these please have a look. And please let me know the main types of things you would like me to write about. Please bear with me for a moment. I am going somewhere with this. What follows is the general format used to gather data for a customer experience research paper published by a major global consulting firm. OK, I am going to exaggerate a little, just to make my point. In a shocking development that should change the way you think about color, global consumers prefer red, orange or yellow to any color of blue by a margin of over five to one. And for the first time ever, green has totally disappeared from global color preferences! Global fashion houses are in turmoil and those who have overstocked green items are expected to lose half their value on Wall Street. This is why you should never base customer research on a closed list of choices that you have made up. The answers would be completely different if you simply asked people the open question, ‘What is your favorite color?’ and let them write it in a blank field. I wish I were exaggerating, but I am not. Even reputable companies do closed-list research. Here is a new publication from PriceWaterhouseCoopers that claims to tell us what ‘really matters to American consumers’. The core questions, based on a closed list of 20 choices were ‘Q: When it comes to great overall customer experience, how important do you think each of the following will be in the future? Which of the following things are worth paying more for?’ Choices ranged from ‘Charitability’ to ‘Efficiency’, as you will see on page six of the report. Personally, my top answer would have been ‘That a company remembers me’ but that was not among the choices. Try to think of your top choice before looking at the graph with the list on page 6. The report gets worse in that the headlines and takeaways do not seem to match the research. On page two they have an overview that says “What truly makes for a good experience? Speed. Convenience. Consistency. Friendliness.” Speed and consistency were not even among the possible choices on the list. The person writing the report seems to have made it up based on personal bias, or just on nothing at all. Disgraceful. If you work at PwC or believe I have this wrong, please let me know. The majority of companies have partners for at least some of their business. The three main categories of partners available to most businesses are resellers, implementation partners, and subcontractors. This article concentrates on the questions that should be asked and answered to get new insights about partner strategy. Ian Golding: The future of VOC measurement – don’t let organisations do it themselves! Ian is one of the top CX people on the planet and has great success with his ‘Masterclass’. The full article is worth reading and the core news is that UK banks are now required to be measured on customers’ willingness to recommend them and they have to post the results in their bank branches. 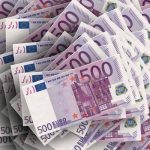 This healthy development was driven by reports from the UK Competition and Markets Authority (CMA) and Financial Conduct Authority (FCA) saying that UK banks do not compete enough with each other. Apparently only 3% of UK consumers change banks each year. 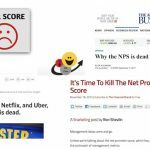 The new regulation requires independent measurement of customer satisfaction and they are of course using the NPS recommendation question as the main score. GfK did the first study. Read Ian’s article here. Fascinating. I just came across this entertaining site. I suggest you start with the customer experience article not far from the top. Tom Fishburn is the artist and he licenses his work. You can find it here. Any observed statistical regularity will tend to collapse once pressure is placed upon it for control purposes. He was writing about UK monetary policy and the point he was making was that if a particular metric, such as the M2 Money Supply, became the sole focus of monetary supply it would be made to look better, no matter what the underlying reality. In the UK someone in the National Health Service decided to measure hospitals on emergency room arrivals being served in under four hours. A bizarre result was that patients were kept inside ambulances until staff were certain that they would be treated within four hours of being taken from the ambulance to inside the hospital, when the clock started to tick. Guess what? The metric improved. The same thing will happen if you measure individuals on NPS or CSAT scores. 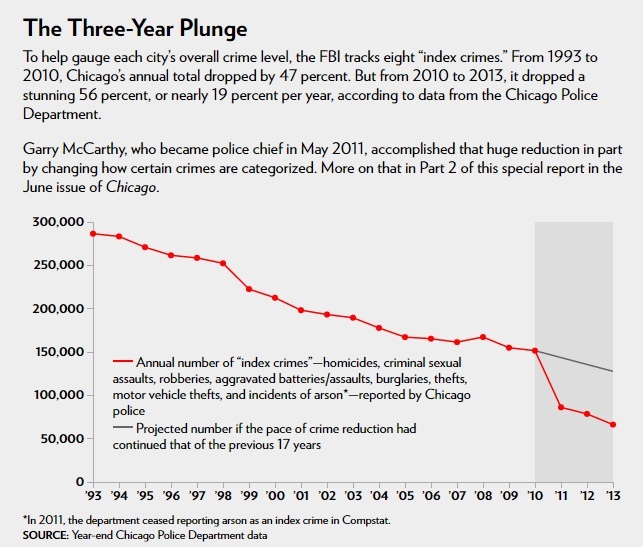 The numbers will improve, even though the reality may be unaffected. I recently came in contact with a situation where call center agents who had to phone customers who gave low scores were measured on those same scores. A surprisingly high (though not surprising to me) number of customers supposedly claimed they had not understood the survey and asked to have their scores changed from the worst to the best number. Success??? The message here is that you should not measure individuals on NPS, CSAT or indeed any score that they can personally manipulate. Customer satisfaction metrics are best used as collectives scores for a team or an entire organization. It is Black Friday as I write this. I have just had the opposite experience to the one I wrote about last week. The latest experience is not a good one. I have a loyalty card with the Fnac chain. For those unfamiliar with the brand, they sell books, CDs, DVD/Blu-Ray, photo equipment and electronics. For US readers, I would describe them as a combination of Barnes & Noble and Best Buy. Their weekly email update included a Black Friday deal with 18% off the 2018 9.7″ iPad. Since I have been looking for just that, I decided to pop into the Geneva retail store this morning. Surprise, they were marked ‘10% off’. This is the exact counter-example to the one I gave last week. Your eCommerce operation cannot compete with your retail outlets. It makes customers like me think you are stupid and trying to trick us in some way. It is a well-known direct marketing phenomenon that you should not give people choices. Having different prices in-store and on the web is idiotic. It means neither price can be trusted to be the lower without checking. The top two on this are part of a new series on a specific aspect of strategy creation: the process of asking new questions so you can get new answers. Older posts are still available on the blog page. The majority of companies have partners for at least some of their business. The three main categories of partners available to most businesses are resellers, implementation partners, and subcontractors. 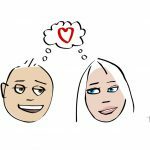 This blog proposes how to understand your current status with partners and what you can do to improve. First in a series about the first and most important step in determining a new customer experience or business strategy: getting an accurate picture of where you are today and what could possibly be done to improve your business. The key point is that you need to ask new questions to get new answers and insights. You may know Fred Reichheld as the co-inventor of the Net Promoter System and the Net Promoter Score. 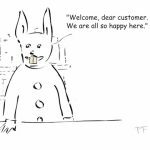 While he is not hugely active these days, he has just written a new article that introduces an interesting twist to his favorite theme of customer loyalty. Rather than talking about revenue growth he talks about loyal customers as a cost reduction opportunity. I particularly like his point on the potential for changing sales incentives to favor rewards for customers to stay with companies for at least 18 months. Lots of good ideas in this three-minute read here. Agi wrote this detailed blog for Thematic, where she is director of marketing. 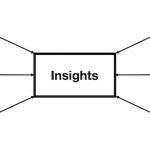 I find her insights about AI, text analytics and the importance of actionable insights quite compelling. A combination of art and science is needed to avoid simply identifying problems but not what you can do to resolve them. I think this blog provides good reading for any company that is setting up a Voice of the Customer program or trying to improve what they already have. It is about a ten-minute read and you can find it here. Thank you for the great feedback on the ‘ask new questions’ blog posts on customers and partners. The next one will be on competitors.